A trail can be many things. It can be a wide gravel road, comfortably accommodating hikers and strollers alike, alternating with wheelchair-friendly boardwalks to take you to spectacular viewpoints overlooking the ocean. In such cases, the abundant "Warning: bear in area" signs put up by Parks Canada rangers seem to serve more as a photo-op than an actual caution. And the mighty moose, which kindly elect to graze just off the trail and in plain sight, will merely look at you while chewing peacefully. It can also be a bearly cleared, rugged path through the underbrush along a steep cliff. In this case, it is supposedly tended to by Nova Scotia's provincial parks, and treading it will mark your shins with scrapes and bruises - which you will go on to show off proudly after your return to civilization, professing that you had a close encounter with the ferocious squirrel-lizard of Cape Breton. Or it can simply be a nicely maintained (hear this, Québec? ), breathtakingly scenic 300km highway across a pristine highlands plateau. 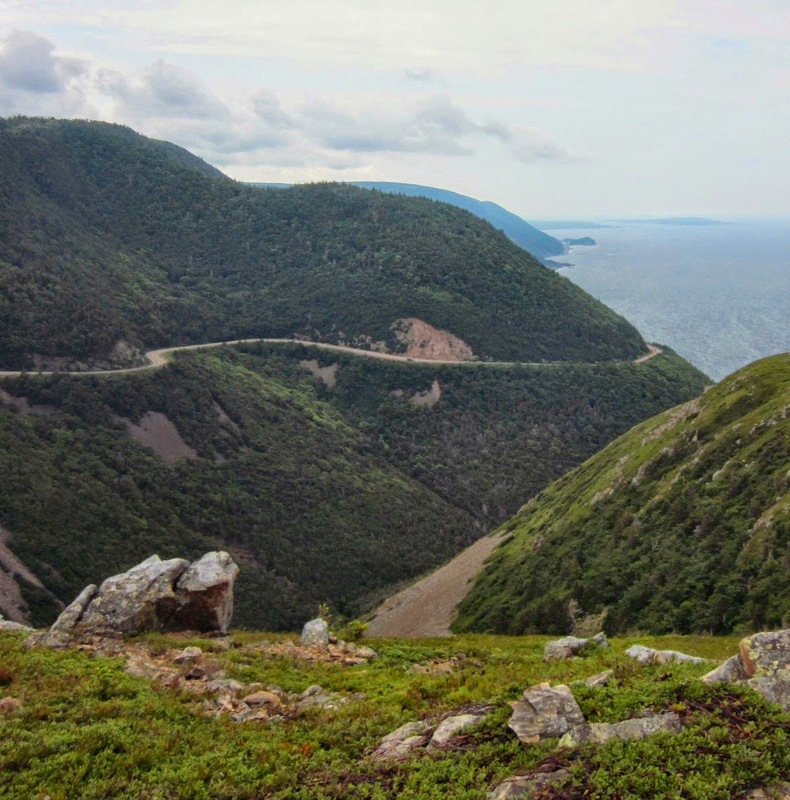 In this case, it is called the Cabot Trail, and best enjoyed on warm summer days from the comforts of a rental car with the windows down and the sunroof open (Byran Adams soundtrack optional). With the ocean on one and the green hills on the other side of the road, you will feel like driving through your very own car commercial. Together, they make for an appetizing mix that nurtures body and soul. And all of them can be packed into a a five day escape to Canada's Ocean Playground. Fun it was indeed, as my best friend and trusty travel companion from Switzerland joined me for a jaunt out east to the Maritimes. We were enthralled not just by the sheer beauty of nature, but also the charming little fishing towns and coves, some of which have a distinctively Scottish, and others a firmly Acadian feel. The latter community's French accent made for a formidable challenge to both my friend's continental and my Québecois-trained ears. It added just a touch of extra spiciness to the mix, with the famous friendliness and hospitality of the Martimers nicely rounding things off. This tantalizing combination of flavors has found many fans, not just in North America. More than once, we came across inns and shops that had five flags hoisted - presumably those of their most frequent visitors. And the flags were always the same: Canada, the United States, the United Kingdom, Germany.... and Switzerland. The secret is out, then. The ingredients are plain to see, and overseas customers are starting to bite. But words don't do it justice. You'll have to try it for yourself. It's all in the mix.